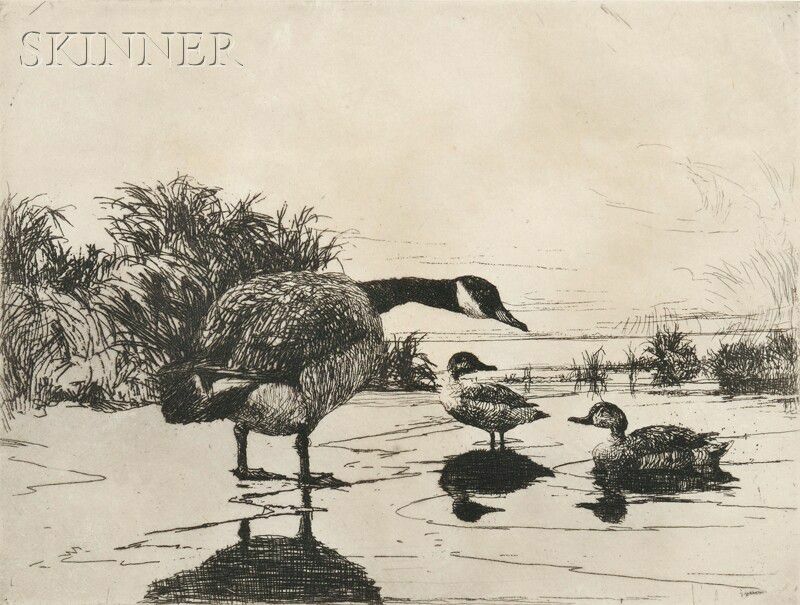 Goose and Teal, 1917, published state of 150 (Paff, 125). Signed "FrankWBenson." in pencil l.l. 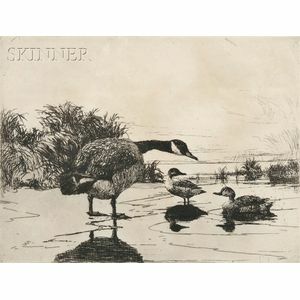 Etching on paper, plate size 5 7/8 x 7 7/8 in. (14.8 x 20.0 cm), framed. Condition: Subtle toning and rippling, not examined out of frame.